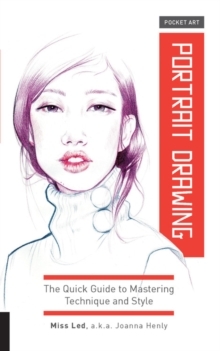 This debut book in the Pocket Art series is packed with expert technical guidance on drawing realistic portraits in pencil and stunning, inspirational examples. London-based artist Joanna Henly (a.k.a. 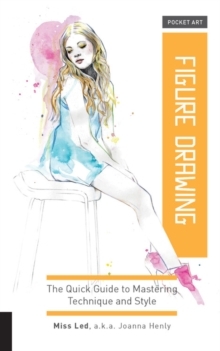 Miss Led) guides you through every aspect of pencil portraiture with a lively, graphic approach to instruction-demystifying the complexities of the human face with step-by-step illustrations and expert tips. Get started with a quick overview of how to set up your work space, how to hold a pencil, and tips on mark making. A section on understanding the face begins with a look at its underlying structure (the skull and muscles) and includes guidance on capturing facial relationships from different angles. Then learn to accurately draw each individual feature-eyes, ears, nose, mouth, skin tones, and hair-with illustrations of their anatomy and examples of their differing shapes. You'll also find tips on rendering the facial expressions of your subjects. The exercises demonstrate and reinforce the skills as you go, while the incredible artwork inspires and motivates. With its compact size and sturdy flexi binding, you can carry this invaluable resource everywhere you go-in your backpack, bag, or pocket.